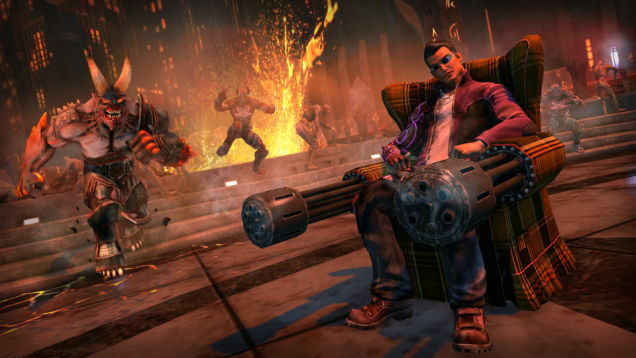 Saints Row Gat out of Hell Errors were reported by some players after the game release this week. The game was released in North America on January 20 and in Europe today, on January 23. The most common errors that players encounter are Random Crashes, Game Won’t Start, Error Code 41, Lag, Freezes and Login Issues. Below you can see these errors detailed and solutions on how to fix them. Saints Row Gat out of Hell Random Crashes, some players reported crashes when they tried to start the game or shortly after startup. Solution: If you aren’t loading the old character to the new game then go to the game installation directory, locate Display.ini and set the LetterboxEyefinity to False. If you are using PrecisionX, Riva Tuner or Afterburner, close them before launching the game. Saints Row Gat out of Hell Game Won’t Start, when you click Play nothing happens and the game won’t launch or the windows with “Preparing to launch Saints Row” closes. Solution: Open the game in windowed mode, if that doesn’t work, stop using the DLC of Saint Row IV in the game. Saints Row Gat out of Hell Lag and Freezes, your game might be laggy, or it might freeze from time to time. Solution: Make sure that you updated your graphic card drivers to the latest one and that you are not having any background apps running. Saints Row Gat out of Hell Error Code 41, some players can’t start the game because of the error code 41. Solution: This is due to busy servers as the game has only just released. What this needs is patient while you continue enjoying the offline gaming experience. I also play it on Xbox (well I would like to) but I just get the loading screen and I can’t find any other sources to try and fix it. HELP!! I’m still on ps3 an it won’t load either its driving me crazy. Bonjour,je joue sur pc a Saints Row Gat out of Hell et le probleme c est que j ai le code derreur 41, le jeux ce lance je fais nouvelle partie,sa fait l ecran de chargement apres sa freeze et mon jeux se coupe,comme qaund je suis en mode hors ligne. Aidez moi svp repondez moi vite !!!!!!!! Hello, I play pc Saints Row Gat out of Hell and the problem c is that I have the derreur code 41, the games that launch I new game, its been the loading screen after its freeze and my games are cut, qaund as I am offline. Help me please repondez me soon !!!!!!!! Some users have reported that temporarily disabling antivirus and/or firewall software will let you get past that. Also try verifying integrity of game cache and updating video drivers. If you’re still having troubles, please post a full dxdiag. Im play it on pc and when i try a new game ,the loading screen just there and never ending ..please help me fix ..
I’m playing it on Xbox one and I can’t import my boss from sr4. It’s always the default male and I’ve saved my sr4 game and I’ve saved my boss’ character in Image By Designed in hopes that that will help but it hasn’t. Any ideas on how to fix this anyone?